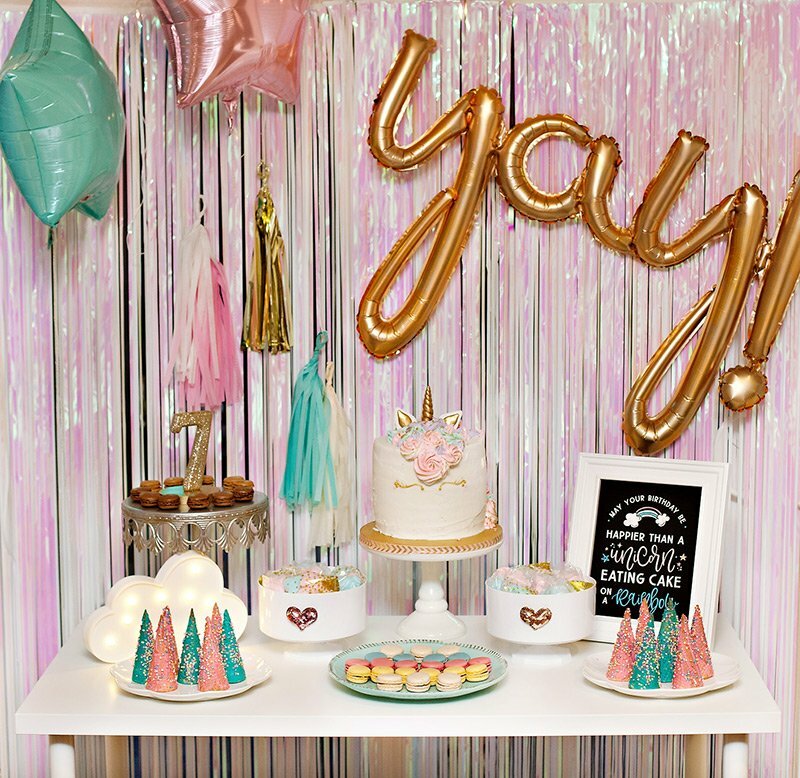 Amy from A Dazzle Day crafted, baked, and photographed such a DREAMY celebration for her daughter’s first birthday! 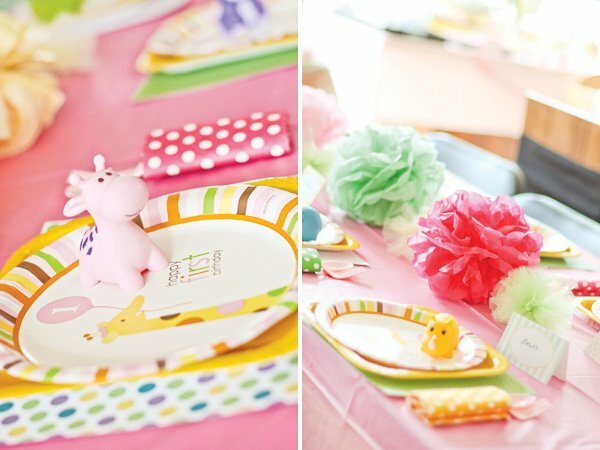 With its sweet, feminine details & soft color palette, this beautiful Princess Safari First Birthday Party is full of lovely inspiration for safari themed baby showers too. 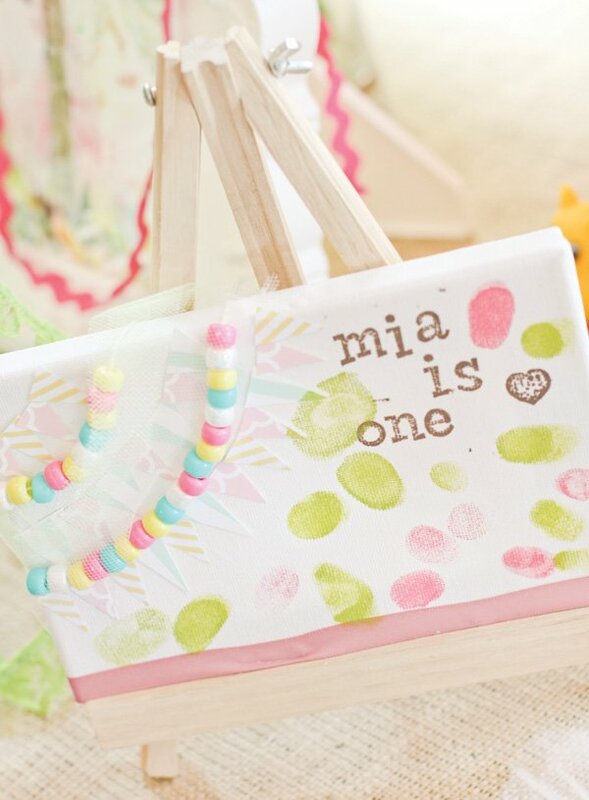 A sweet thumbprint canvas “guest book” keepsake! 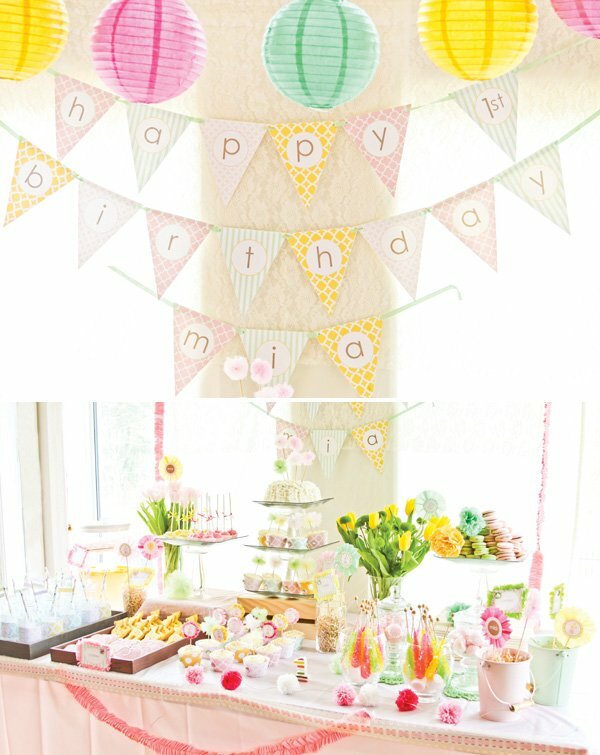 A dream like birthday party for my dearest first year old Mia. 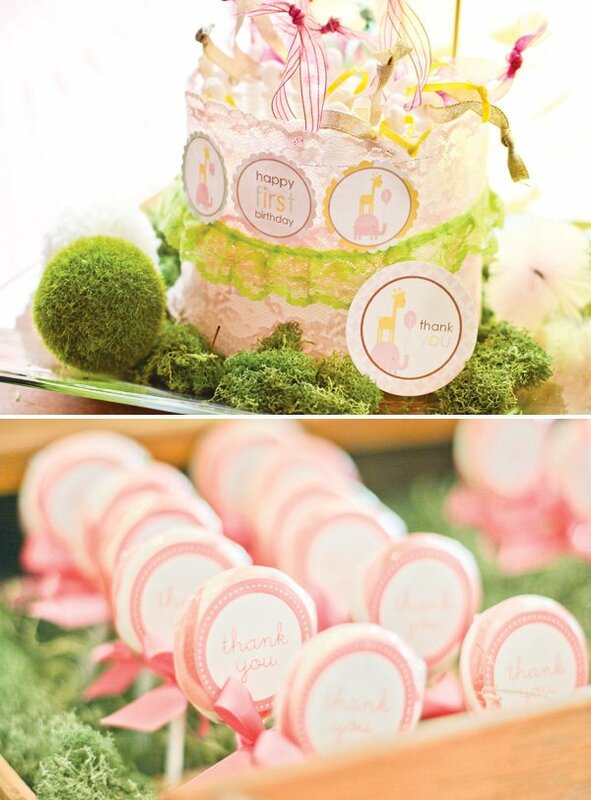 The color scheme is pastel green, pink, and yellow. 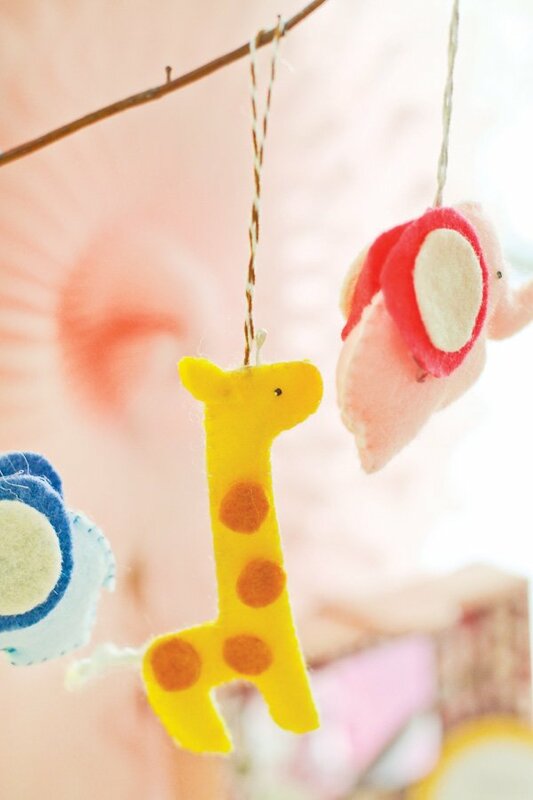 The main animals are the pink elephant and yellow giraffe. 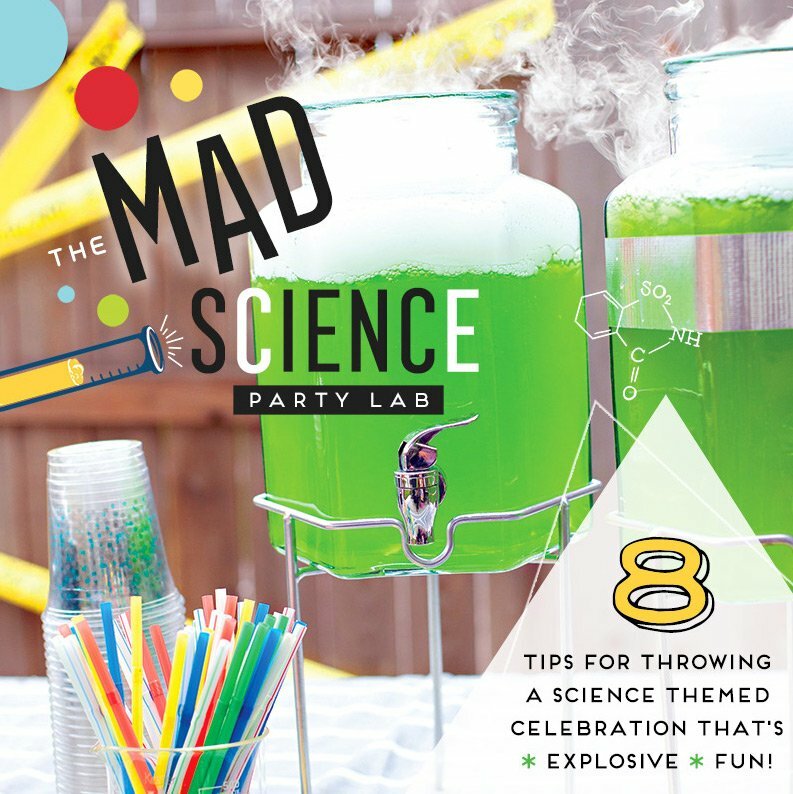 I spent about 2 months working on planning the party and getting everything done with 3 kids in the house! 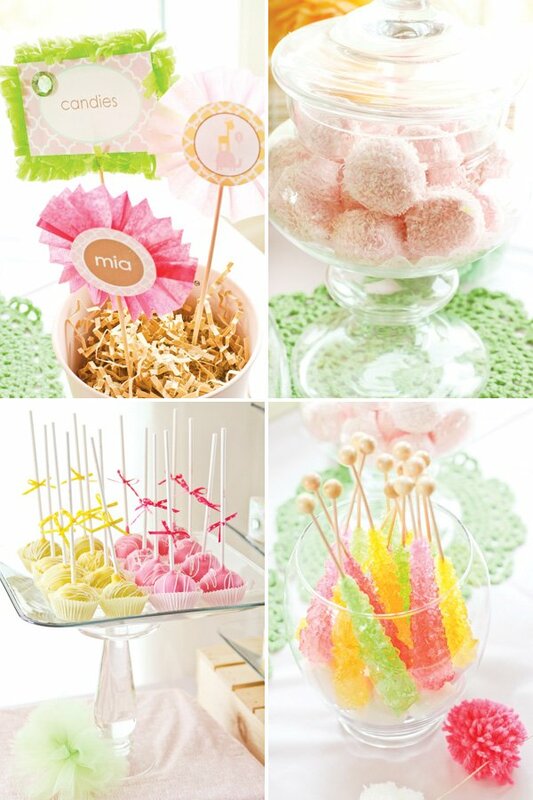 This is the second birthday party I have planned this year and I just love it! 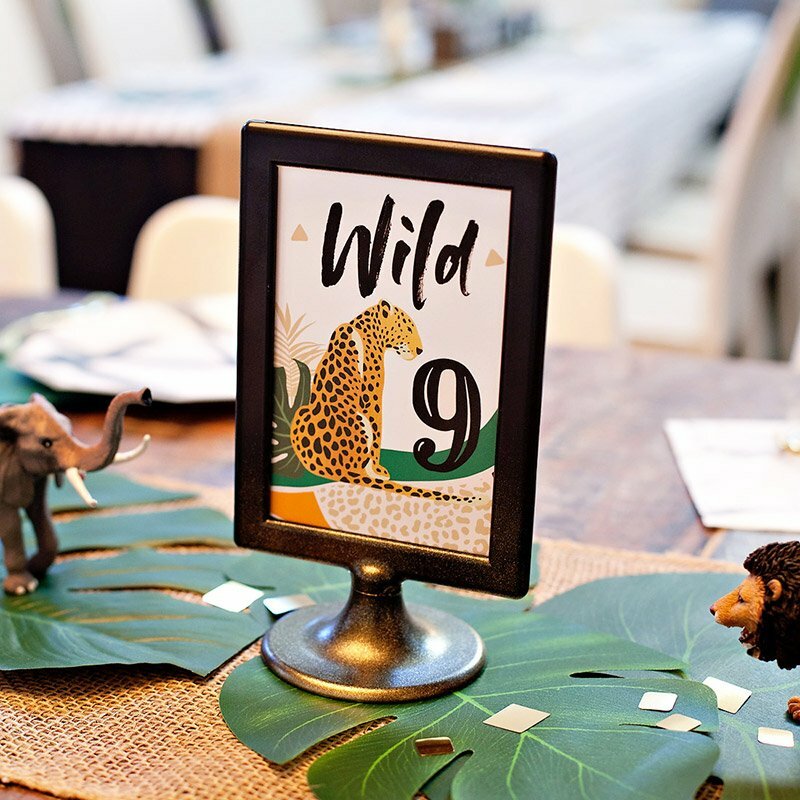 Tania from totful memories designed the Safari Girl Collection printable birthday party package for Mia and everything in it is just adorable! 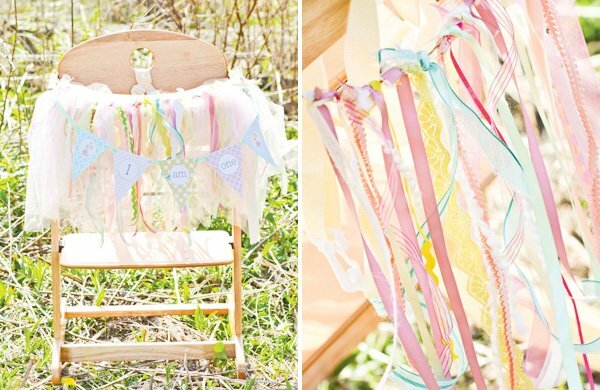 I spiced up the paper details with color streamers, crepe paper, lace, ribbon, etc. 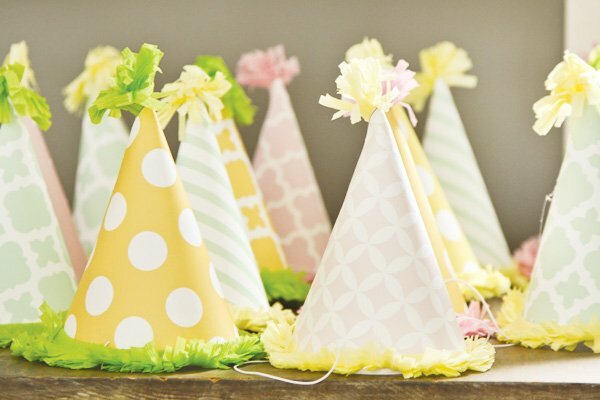 I designed and handmade her felt birthday cone hat, highchair decoration, favorite bags, photo frames, little felt animals, tutus, necklaces, headband, finger print canvas, cake topper, etc. 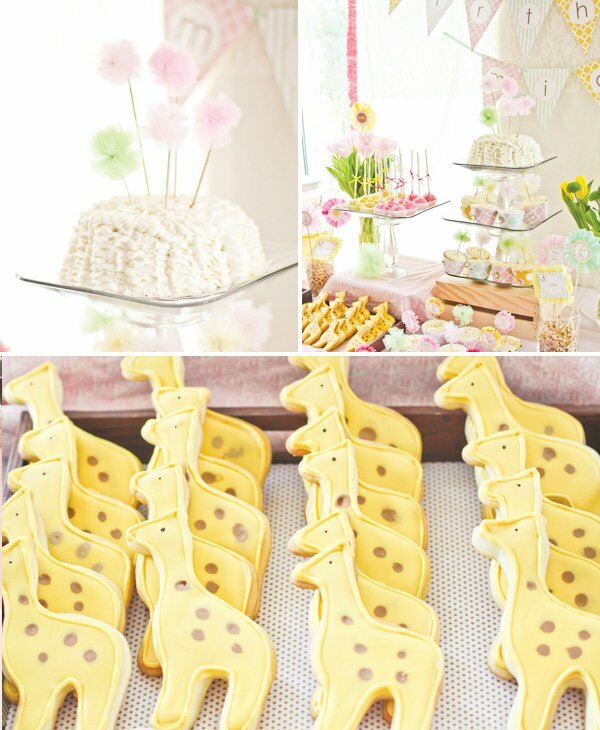 I also made the elephant and giraffe cookies, macarons, and cake pops. Cupcakes and cake were baked by my husband and decorated by me. I still can’t believe the party is over! I am so glad every little detail was captured and preserved. Love it, love it, just love it! Craft table: Crayons, color pencil, glue sticks, color marker, pom poms, buttons, wiggly eyes, safari coloring paper, butterfly cutouts. The mini lantern was a big hit- the kids just loved them. They also just look adorable. I got them from China when my husband was on a business trip. And I love the Ubiki safari coloring animals. Everyone spent so much time working on their masterpiece! 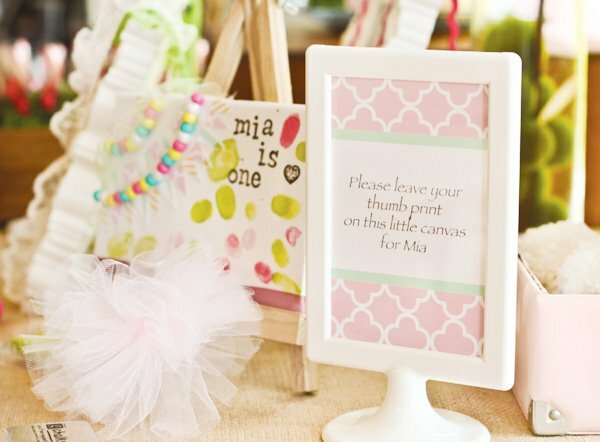 Others: Decorated canvas for guest to leave their thumb print on it. 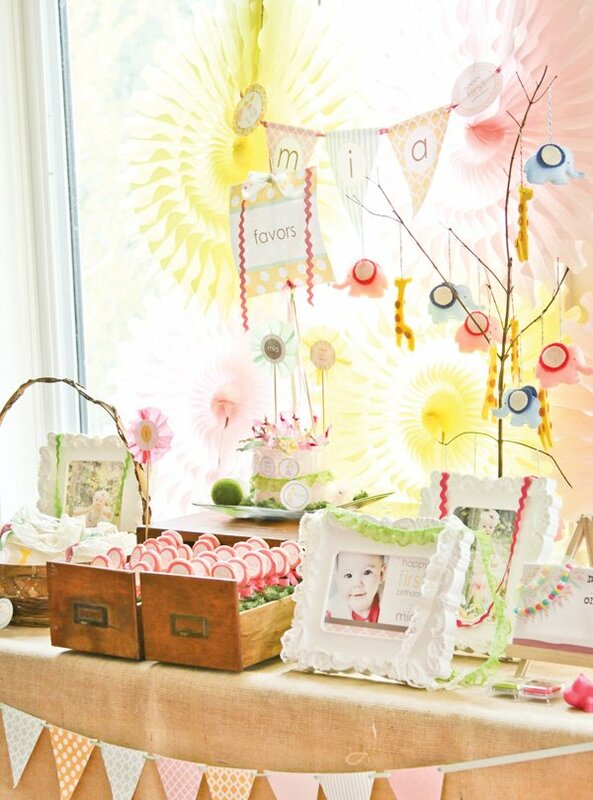 All the decoration you can see from the party including: Highchair, Personalized favor tote bags, Felt Birthday girl cone hat, Birthday girl tutu, Birthday girl headband, Birthday girl necklaces, Tulle pom pom cake toppers, Tulle pom pom cupcake toppers, Felt elephants and giraffes, Cake & cupcakes, Macarons, Cake pops & sugar cookies. 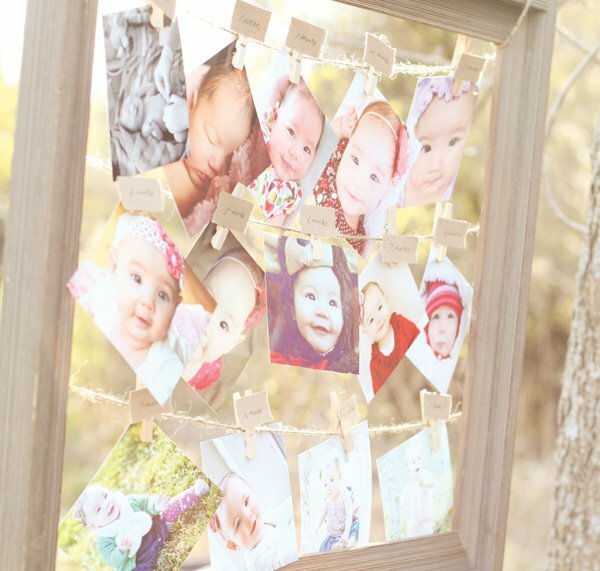 That is one adorable party :) I love the idea of the photo frame and pictures on strings ! 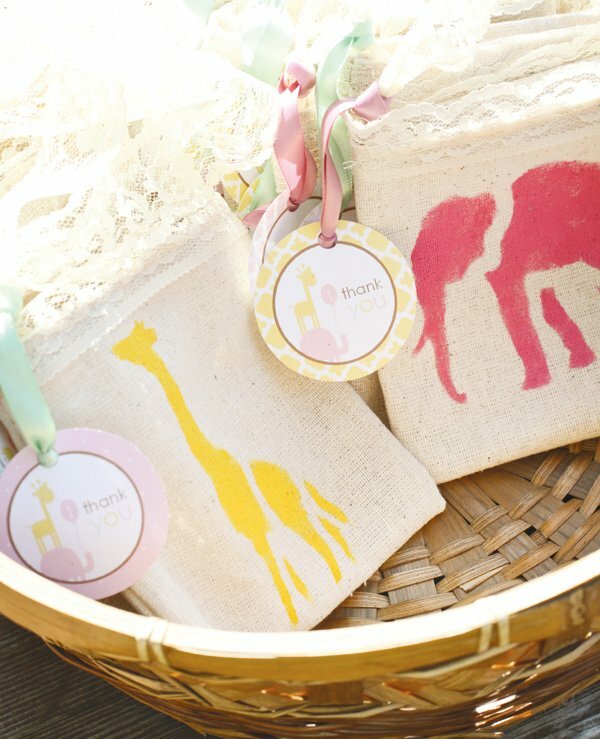 And the goodie bags are super cute! 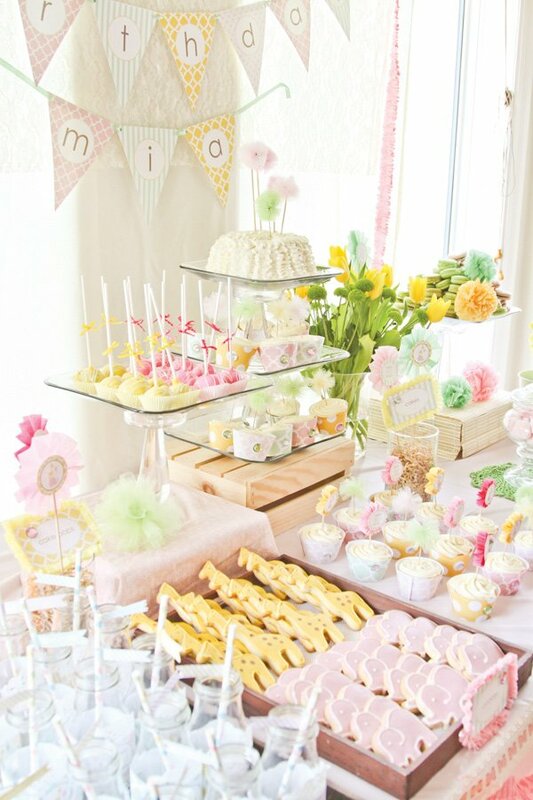 Very cute for a 1st birthday! Wait! No downloads? LOL! 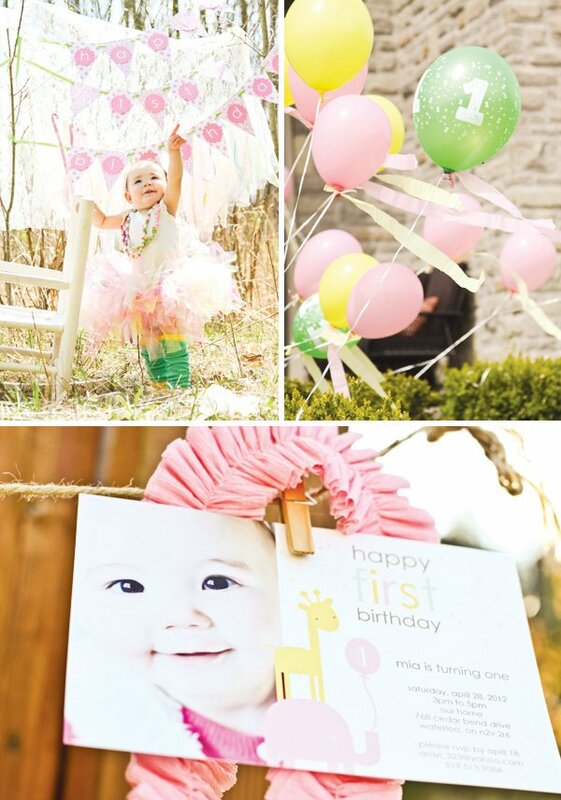 I am so in love with this birthday… I was hunting inspiration for my little one! I adore and admire your work. I have no creativity whatsoever but when i see something that attracts me I get inspired. I am planning my 2nd daughter arianas 1st birthday party for sept 2 and iam so lost with all these wonderful ideas and want to do everything. 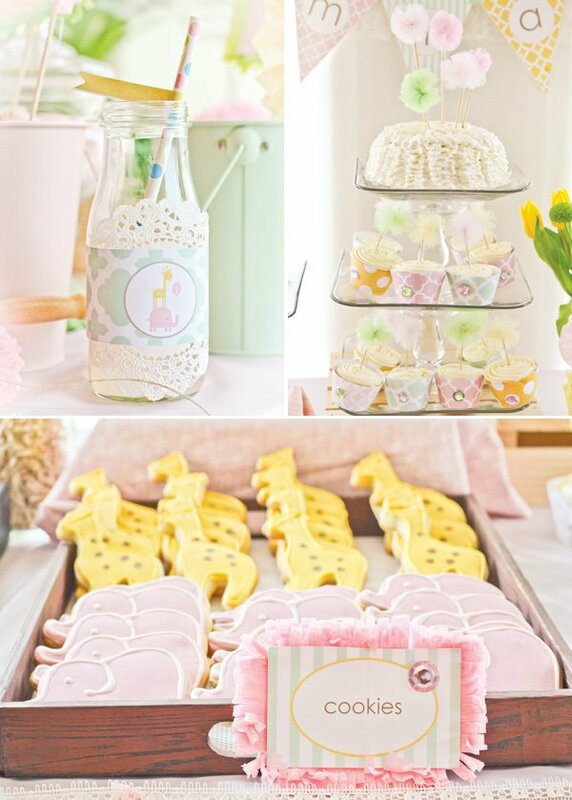 I def would luv to learn how to do those jaffre and elephant cookies. They look great. I have been saving all of her baby glass jar foods hoping i can do something with them. If you have any ideas you would love to share i would sooooo appreciate it. thank you for the inspiration and hope to get as creative as you. Thank you all! 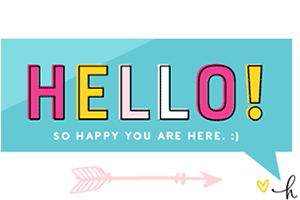 Come visit me at my facebook page and we can chat all about parties and photos! Can’t get the etsy link to work. 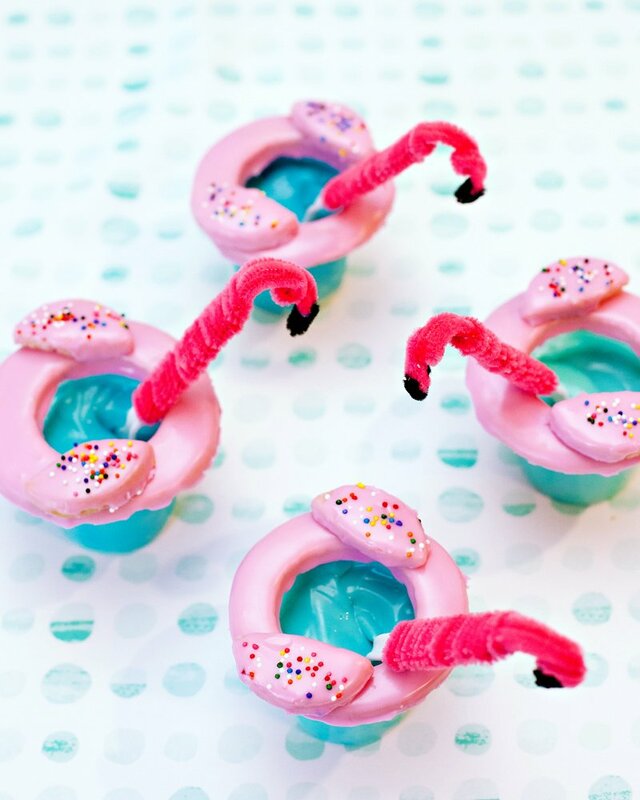 ): Really like this party! Where did you get your cookie cutters from? 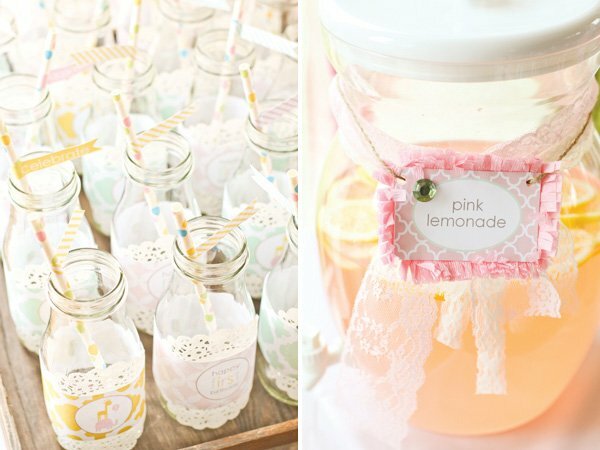 Does anyone know where I can find those invites? So cute and just what I’m looking for!! I LOVE this party!! 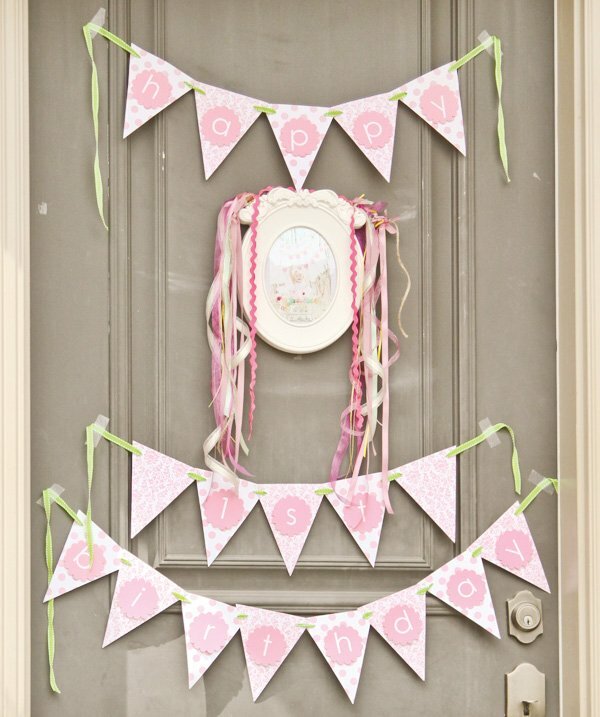 I’m in the process of creating decorations for my daughter’s 1st birthday & really want to re-create this high chair ribbon decoration – any pointers on how to do so? 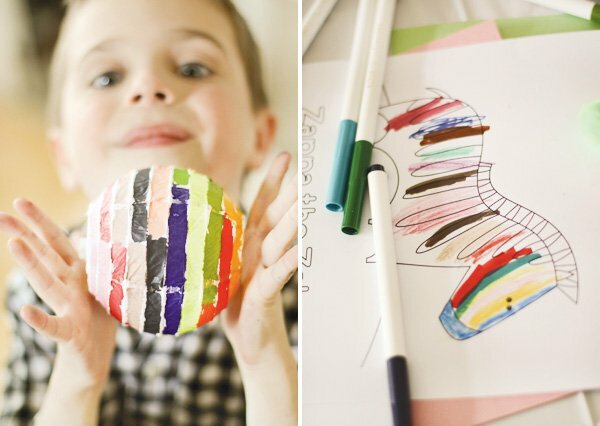 I’ve seen some other pics online that try to achieve this look, but the end result looks kind of cheap & messy, whereas this is whimsical & beautiful! 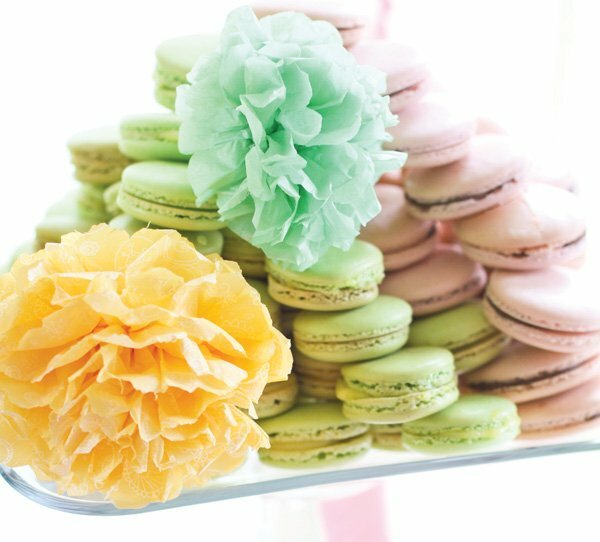 I would love any advice on selecting ribbons & how they are attached so that the finished product is as darling as this one! Where are the plates from? 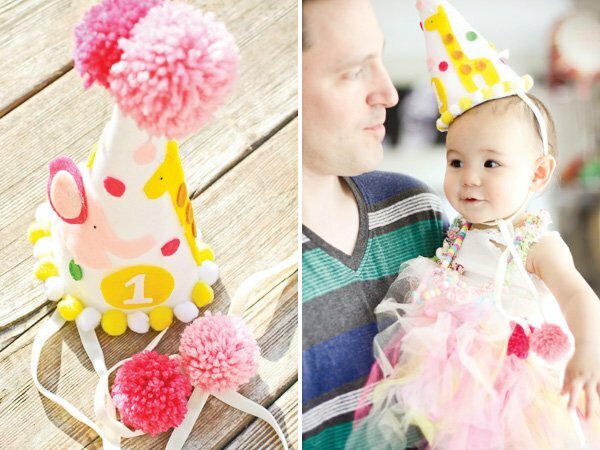 I have been searching for a theme for my daughter Ava’s first birthday and this is perfect. 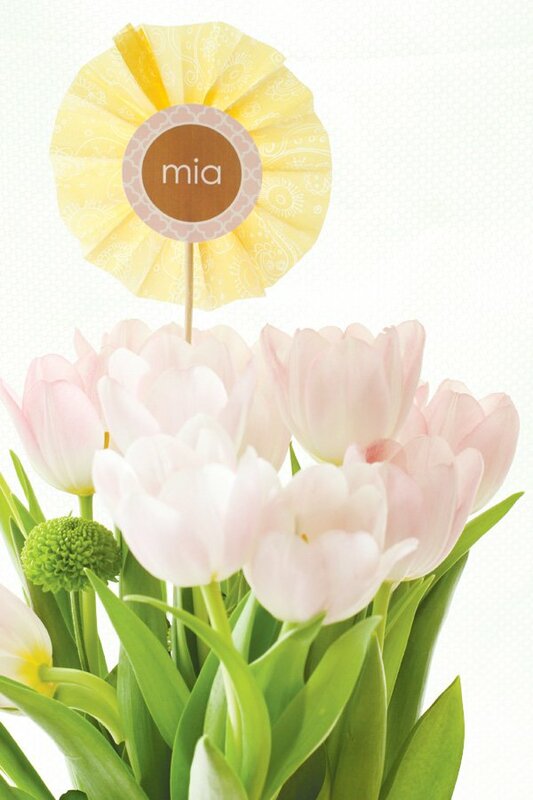 Sweet and charming just like she is! I would love to know where you ordered the safari cookies from or if you ordered cookie cutters and made them yourself. The colors are just perfect. 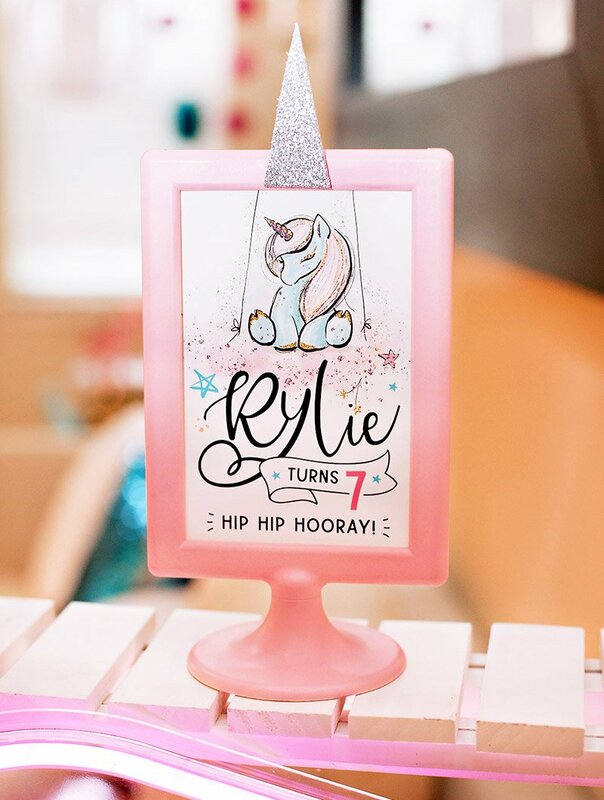 Lilly Pulitzer makes a precious invite called Animal Parade that goes perfectly with this theme. I did it for my daughter’s 2nd birthday party.